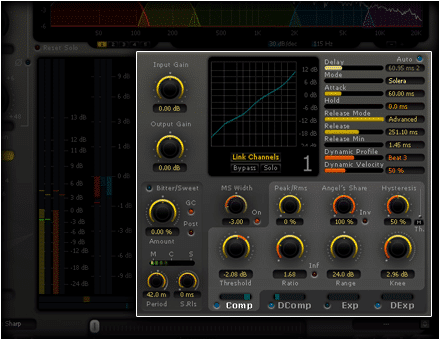 Be it a serious problem with a mix, a challenging mastering project, or a restoration project with complicated dynamics, designed with professional mastering and re-mastering applications in mind, with five bands offering a complete dynamics processing section including; compressor, expander, de-compressor de-expander, and a transient processor, Alchemist provides everything you need in order to accomplish. 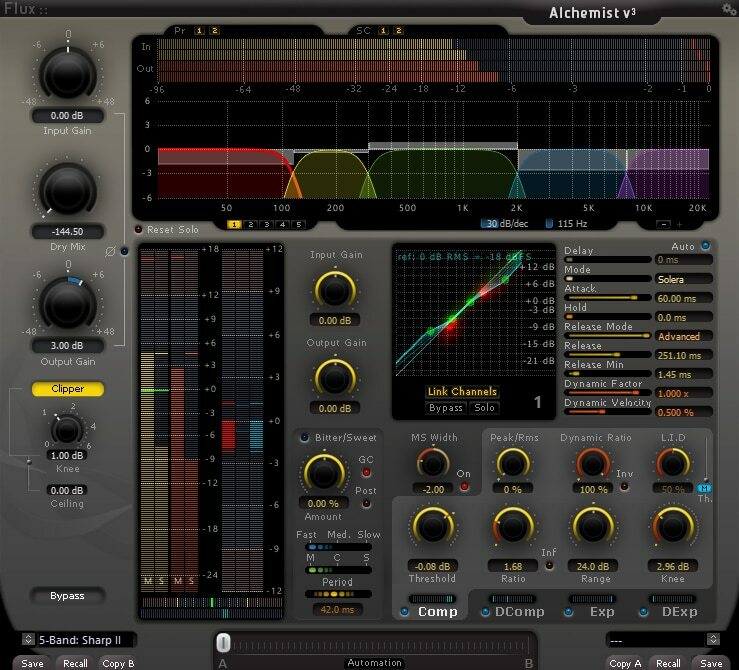 Alchemists five bands are divided using carefully tuned state-of-the-art IIR (Infinite Impulse Response) crossovers with selectable slopes (from 18 dB per octave to 54 dB per octave) and variable corner frequencies. 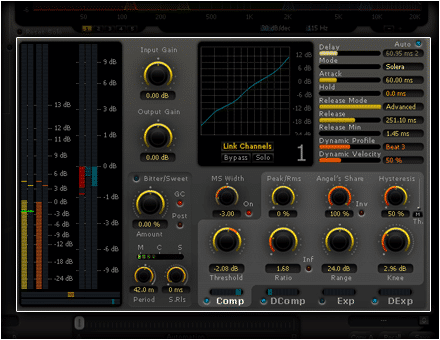 In addition to the common controls on a dynamics processor; ratio, attack, release, Alchemist offers control over the fundamental characteristics of the dynamics processing on each band, all in order to provide full control over the processing even in the most demanding situations. Extended envelope settings with full control of Attack, Hold and Release with Manual, Auto and Advanced release modes. Zero attack time for the dynamics processing by introducing a delay reflecting the attack time into the signal path. Eight different detection modes interacting with the time and envelope settings as well as with the integration times for the RMS detection. Includes specific “Feed Backward” modes inspired by vintage hardware architectures for producing a naturally “beefy” sound. Dynamic Factor – Amplifies or diminishes the extracted real-time dynamics information. Dynamic Velocity – Controls the speed of variation on the extracted dynamics information. Up to eight channels of simultaneous processing for multichannel surround configuration is provided. The processing can be disengaged on any of the channels leaving the material unprocessed, bypassing the original sound. When operating on a multi-channel bus all, up to eight in total, channels are processed by default, though the processing can be disengaged for any number of channels leaving the material unprocessed and bypassing the original sound. By doing this in combination with serial instances the material on any number of channels can be processed with individual settings. The built in preset manager and the preset morphing slider, provides instant and intuitive control of all parameters and controls. In a second, with a simple one-click operation, everything is copied from one of the two preset slots to the other, even during playback. 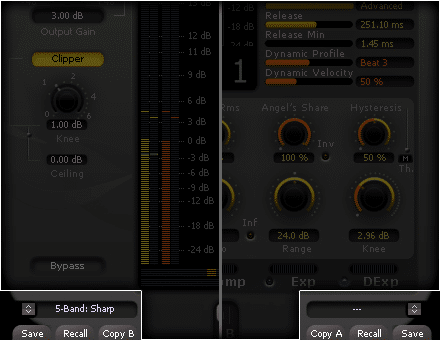 The two Preset/Parameter slots, A and B, can be loaded with two full set of parameters at the same time, and except for only A/B comparing two sets of parameters, the morphing slider will allow to mix them, and to record the morph with the host automation. 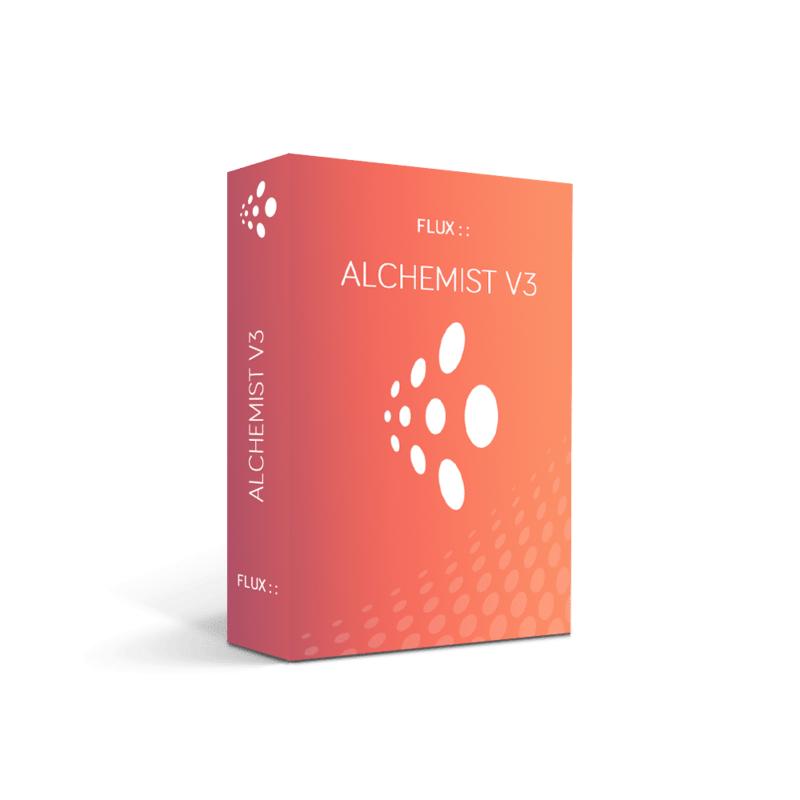 Challenging dynamics in your mix or mastering projects, restoration of complicated dynamics, professional mastering and re-mastering, five bands with a complete dynamics processing section. * We offer a 50% academic discount, based on the full MSRP, for students, teachers and schools on all our products. Click here to apply. To enhance the workflow the two Preset/Parameter slots, A and B, can be loaded with two full set of parameters at the same time. Apart from saving each preset, a “Global Preset” containing both the A and B settings, and the position of the “Morphing Slider”, can be saved. 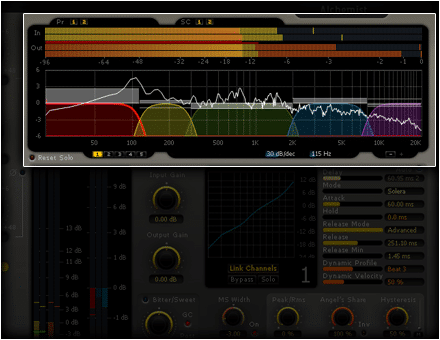 Sampling rate up to 192 kHz for native (AU/VST/AAX/AAX AudioSuite). In order to use the software an iLok.com user account is required (the iLok USB Smart Key is not required).